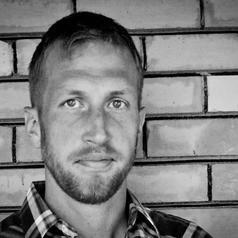 Dan Richmond is a Postdoctoral Research Associate in the Department of Health, Recreation, and Kinesiology at the University of Utah where he is part of a research collaborative investigating the impacts of summer camp on youth and families. Prior to returning to Utah, he was a lecturer in youth development at Texas A&M University. He received his Ph.D. in Parks, Recreation, and Tourism at the University of Utah where he served as the National Outdoor Leadership School (NOLS) Research Assistant. Richmond's research interests are related to college and career readiness, outdoor adventure education, the development of noncognitive factors, instructor effectiveness, and group dynamics. Richmond also holds an MBA from the University of Oregon. Before shifting his career to education, Richmond worked in public radio where he managed projects related to program evaluation, program development, fundraising, and volunteer training. Richmond is also a field instructor for NOLS, leading multi-week expeditions for youth each summer.